ATP recruiting partner Mesa Airlines continues to expand to meet the increasing demand for air travel. Mesa is also actively recruiting the best trained pilots to enter the airline industry today by hiring the graduates of ATP’s Career Pilot Program using PilotPool.com to source them. Mesa Airlines, Inc. announced today that it has reached an agreement in principle with Montreal-based Bombardier Inc. for the purchase of seven new CRJ900 NextGen aircraft to operate under a long-term capacity purchase agreement with a major U.S. airline. The aircraft will be purchased new from Bombardier and will bring the total number of CRJ900 aircraft operated by the Company to 64. Mesa expects delivery of the seven additional aircraft in 2015. 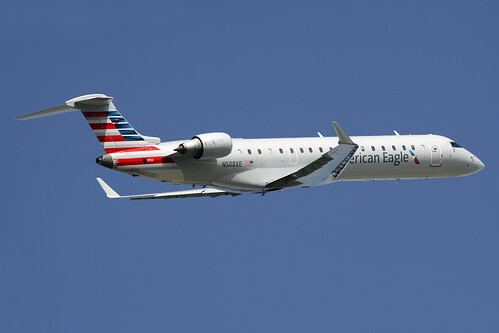 The agreement also includes an undisclosed number of additional CRJ-900 options. Mesa was the launch customer for the CRJ900 aircraft in 2001 and is one of the largest operators of CRJ900 aircraft in the world. The addition of these seven aircraft and 11 new E-175s scheduled for delivery later this year will bring Mesa’s fleet total to 115 aircraft by October of 2015.